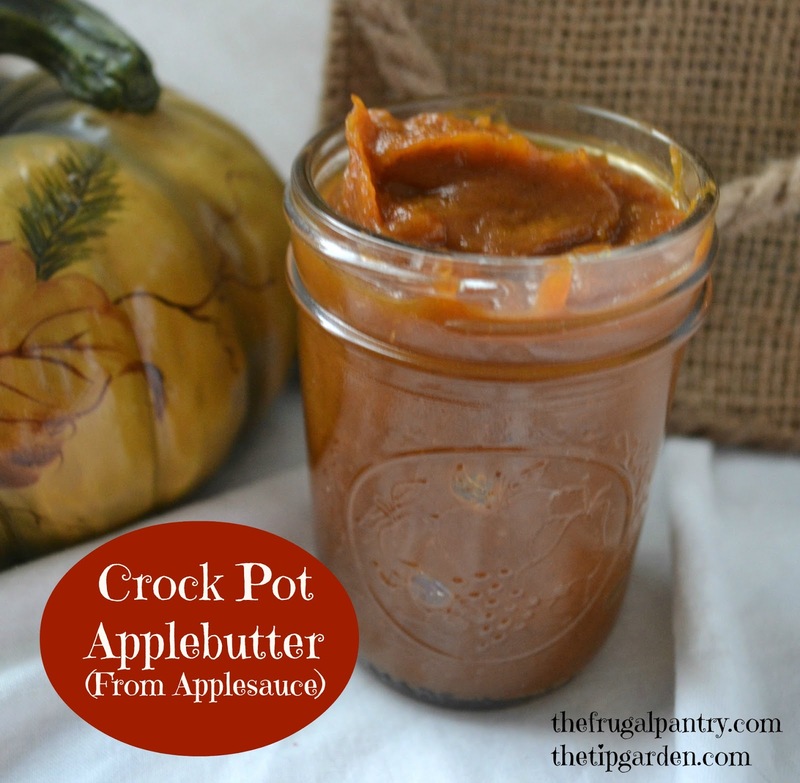 Homemade Apple Butter w/ no peeling or chopping required! This divine recipe uses your crock pot and applesauce instead of fresh apples, and is a real time saver. Homemade goodness for your family or holiday gifts with little effort on your part. What could be better? In a crock pot mix all ingredients. cover and cook on low 14-15 hours, or until mixture is a deep brown. 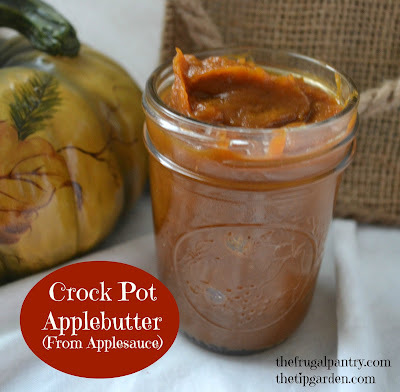 Spoon hot apple butter into hot half pint or pint jars and seal.